At Commonwealth Financial Group we are committed to giving back to the communities in which we work and live. Our CFG Cares Committee, made up of a panel of staff members, supports this commitment by reviewing and spearheading volunteer and charitable opportunities for our firm and associates. Our committee also supports our advisors in their endeavors by assisting with charitable event sponsorships. Women's Initiative of the United Way of Central Mass. 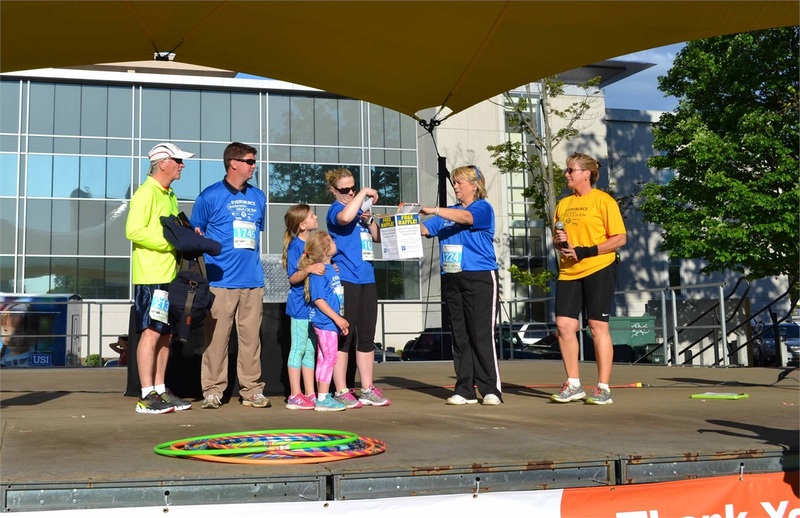 Members of the CFG family draw the winning ticket for a raffle basket at the annual Easter Seals Walk & 5K Run in Manchester, NH. 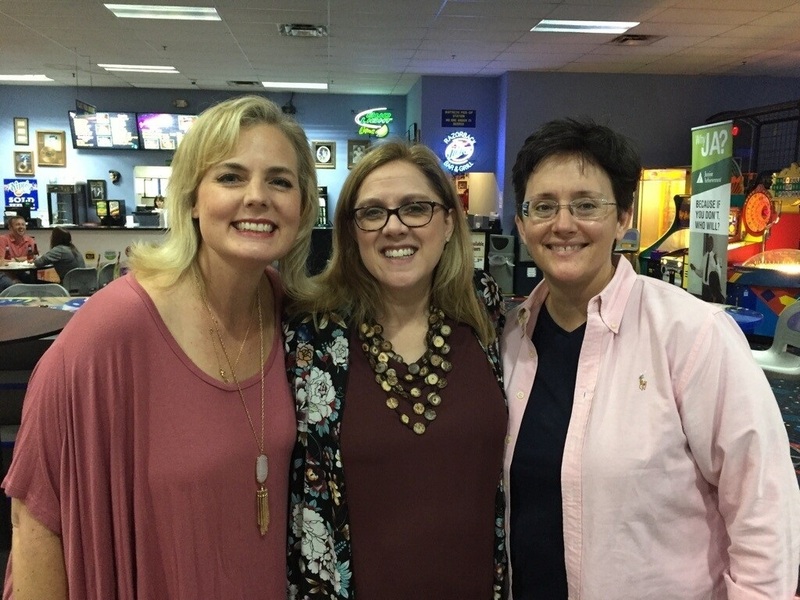 CFG Advisor Annie Lankford (left) recently sponsored and attended the Turkey Bowl fundraiser for Junior Achievement of Arkansas. The CFG Cares Committee plans social events for our firm to raise money for various charities. 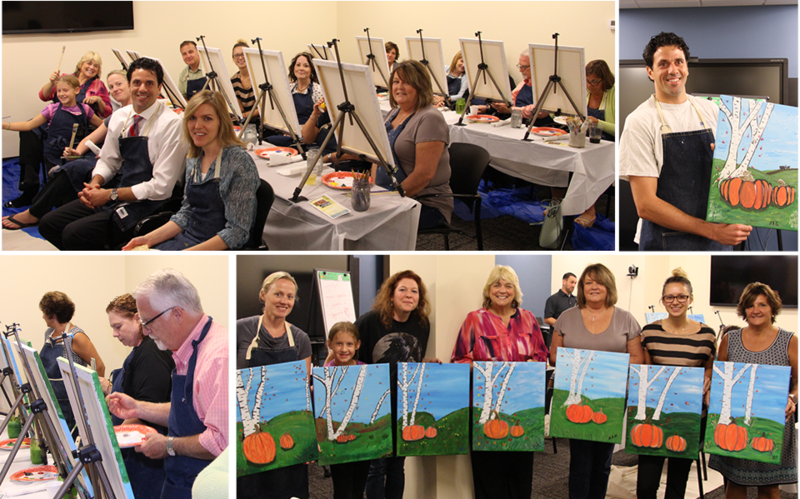 Here, advisors and staff members attended a paint night fundraiser. Proceeds were donated to the Salvation Army Santa Fund. 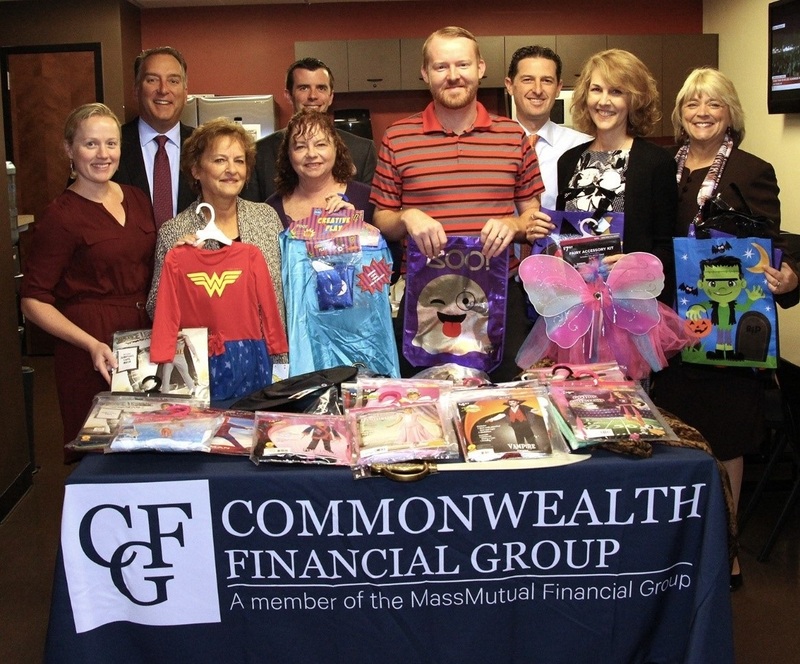 Earlier in the Fall, our Bedford, NH office held a Halloween Costume Drive. Donated costumes and Halloween accessories were delivered to Families in Transition for the children in their programs. This holiday season, our firm is holding a gift drive to provide gifts for two families in the FIT program. 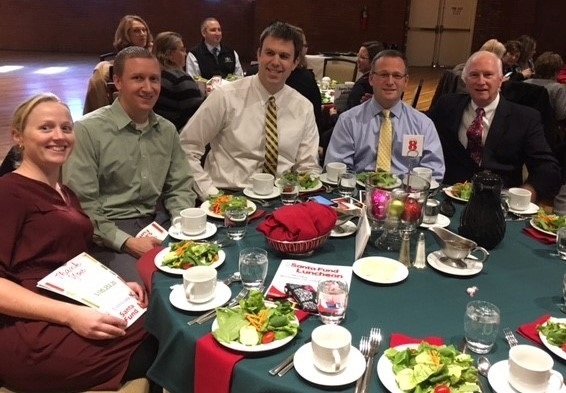 Last week CFG associates attended the Santa Fund luncheon to celebrate the kick-off of the NH Salvation Army’s biggest fundraiser of the year. Senior Partner TJ Shaughnessy has spearheaded our participation for several years. We enjoy donating to the toy drive and volunteering for bell ringing and toy distribution day. We look forward to continuing our work with these charities and others in 2018!